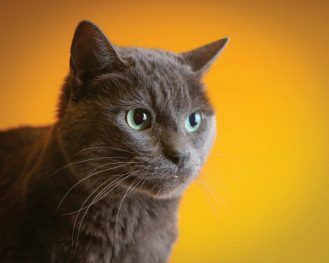 14-year-old Veruca is a Russian blue with a mysterious backstory that is unknown even to her owners, who adopted her when she was already 10. Veruca watches over Toluca Lake from her noble perch in a second-floor apartment, observing her kingdom from the Moorpark onramp all the way to Vineland Street. She enjoys yelling for food, and then eating that food.